In 2011, Susie Kearley quit a 15-year marketing career to focus on freelance writing in the middle of a recession, and while it wasn’t always easy, she eventually went on to build a thriving freelance career. 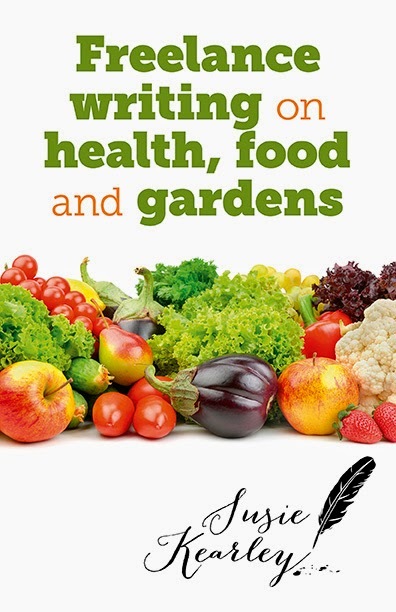 Read on for a review of her new book Freelance Writing on Health, Food and Gardens and an interview with Susie Kearley. In this book, Susie Kearley shares how, in under two years, she went from being an aspirational rookie to working for some of the biggest names in publishing. Freelance Writing on Health, Food and Gardens provides valuable tips to get you started in writing for the health, food and gardening markets, and has wider relevance to other fields of journalism. Interviews with other writers--all working in the health, food and gardening markets--give superb insight into the highlights and challenges that each of them have faced in this field of work. Freelance Writing on Health, Food and Gardens is available on Amazon. Susie Kearley is a British freelance writer and journalist, working for magazines, newspapers, and book publishers around the world. 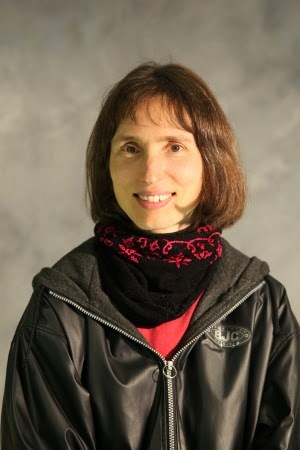 In addition to Freelance Writing on Health, Food and Gardens, she is also the author of the e-book Healthy Sustainable Living: God’s Way and has been published in the Chicken Soup for the Soul anthology Miraculous Messages from Heaven. She lives in Bucks, UK. My own personal freelance writing experience includes food and health-related article sales, so when I got the chance to review Susie Kearley’s book, Freelance Writing on Health, Food and Gardens, I jumped at the chance to learn even more about how to successfully pitch and write for these markets. While the book might have “health, food and gardens” in the title, these topics make up only one portion of the book. Kearley provides a primer on all things freelance writing related, from pitching article ideas, researching markets, conducting interviews, food and garden photography, copyright do’s and don’ts and much more. She offers tips on how to provide find inspiration from everyday life, such as mining the local newspapers and social media news feeds for interesting bits of news that can be expanded into longer articles. She even touches upon the aspects of freelancing that all writers struggle with, like dealing with rejections, overcoming negativity and focusing on productivity. Each chapter ends with a helpful exercise to help writers get started. Throughout the book, Kearley weaves in interviews with other writers who specialize in the health, food and garden markets, such as Jackie Lynch and Nick Baines. I enjoyed reading Kearley’s personal anecdotes of both successes and failures, many of which I could relate to. She even guides writers who might just be starting out on the best way to showcase clips online, social media tips, blogging, and developing a marketing plan. Kearley has obviously done her homework and her attention to detail makes for a great writing resource for writers, whether they are seasoned or just starting to pitch articles. WOW: You made the decision to embark on a career in freelance writing after working in the marketing industry for 15 years and in the middle of the recession. How hard was it to make that leap? What happened that finally encouraged you to focus on your writing full time? Susie: It was tough. I had no contacts and no idea if I would succeed, but my tenacity and determination paid off. The thing that enabled me to focus on my writing full-time was the sheer volume of work that I started to get in after I'd been working on building up a writing career for nine months. I’d managed to keep the work-load steady for long enough to feel that it was sustainable. Basically, I convinced myself it was more than just a lucky blip! WOW: What was the first article you sold in the health, food and garden market? Can you share a little about how the sale came about? Susie: It was an article for Amateur Gardening magazine, titled ‘the healing power of your garden’. It looked at the healing power of common garden vegetables on a wide range of health conditions. I drew on my knowledge of nutrition and on recent scientific studies to show how a diet rich in home-grown vegetables can reduce your risk of disease. I pitched the initial idea by email, highlighting my qualifications and experience, and was offered a commission on that basis. WOW: I love that article idea! I always enjoy hearing stories of first sales--they are all so different. In your book you also discuss a few freelance writing myths. Can you share one or two of those myths with us and why you think they are misconceptions? Susie: The whole book is based on my own experience and many of the myths highlighted in the book are the misconceptions that people perpetuated all through my youth. The myth that writing is too competitive, so you might as well give up now, is no way to succeed in anything. I didn’t believe it then, and I don’t believe it now. The idea that you need a journalism qualification to be a journalist has also been disproven by my own experience. Essentially, believing these myths can hold you back for years. I let some of them hold me back for far too long. WOW: You have a lot of great article ideas in your chapter on “Writing for the Food and Cookery Press.” What ways can writers come up with fresh and unique story ideas for food magazines that don't just include recipes? Susie: Think widely about article topics on food. You might consider visits to breweries, stories about vineyards, interviewing the owner of a thriving local cake-making business, restaurant reviews, or food travel writing. It depends on what kinds of stories the magazine you're targeting runs, but there are lots of story opportunities in food writing other than writing recipes. WOW: Freelance Writing on Health, Food and Gardens also includes a section on how writing for a living has changed your life. We’d love to hear more about that. Susie: Well it’s been a radical career change, just because I work for myself now. I don't have to commute any more. I can be creative and write about the things I enjoy, and I can work the hours I like. I get paid on results not on process. Having bosses interfering with process used to really get my goat! I love being my own boss and I'm good at what I do. I also learn a lot more from researching topics for articles than I ever learnt in a conventional job. It’s been a fascinating journey. Renee Roberson is an award-winning freelance writer and editor who also blogs at Renee's Pages. Renee--Thanks for the interview, and thanks for also sharing a little bit about your success as a writer (which came through in the questions you asked). This is a field (true freelancing) that I need to dip my toes into...or perhaps I need to jump right into? Although I don't have this kind of experience, I have found that it isn't necessary to be the expert or necessarily be a journalist to successfully compete in this area. I'm going to look into the book here-- I always need to learn more. Thank you! Thanks ladies! The neat thing about these three specialities is that so many regional and national magazines are looking for these types of articles/reviews/news briefs. I still have yet to break into a national women's magazine but I'm feeling more motivated to try again after reading Susie's book!